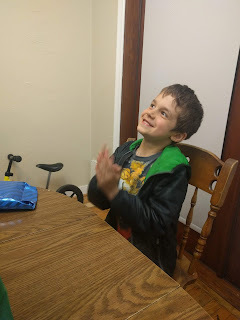 The day I left for my conference was Malcolm's birthday, so we held our family celebration the night before. 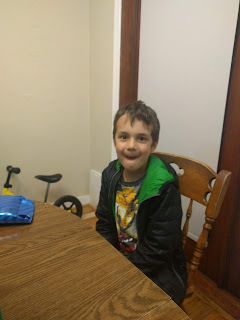 He wanted pizza, so we headed out to a neighborhood pizza place we like before returning home for ice cream and presents. Excited for some Little Bear books he'd asked for. 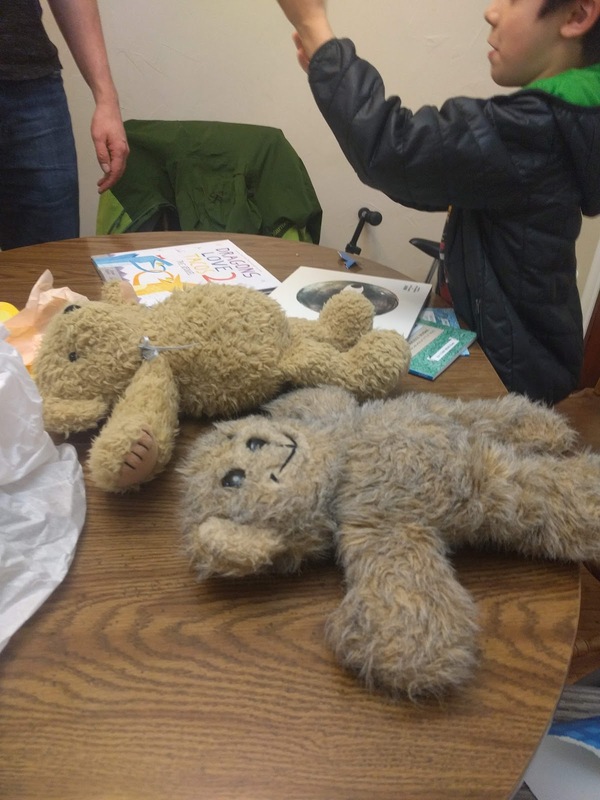 Mal has been asking for a teddy bear for a while, and my mom had these two hanging around from my childhood. The one in the forefront of the picture I made in 7th grade Home Economics and named Sassafras. The other one was a gift from my sister one year and was named Winston. Mal re-christened them Fuzzy and Foozy. 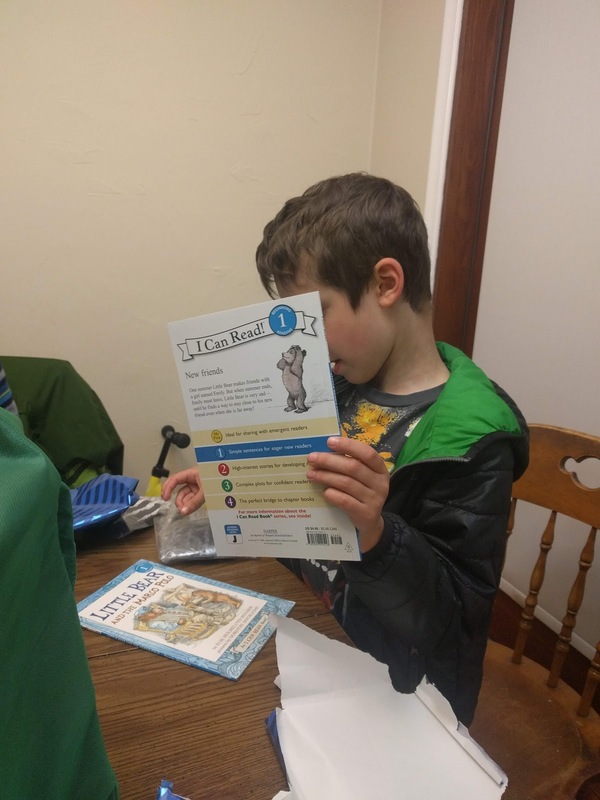 His reading has taken off pretty well this year and with that he seems to be finding more enjoyment in it, though watching movies and playing on the Switch are still his favorite activities. 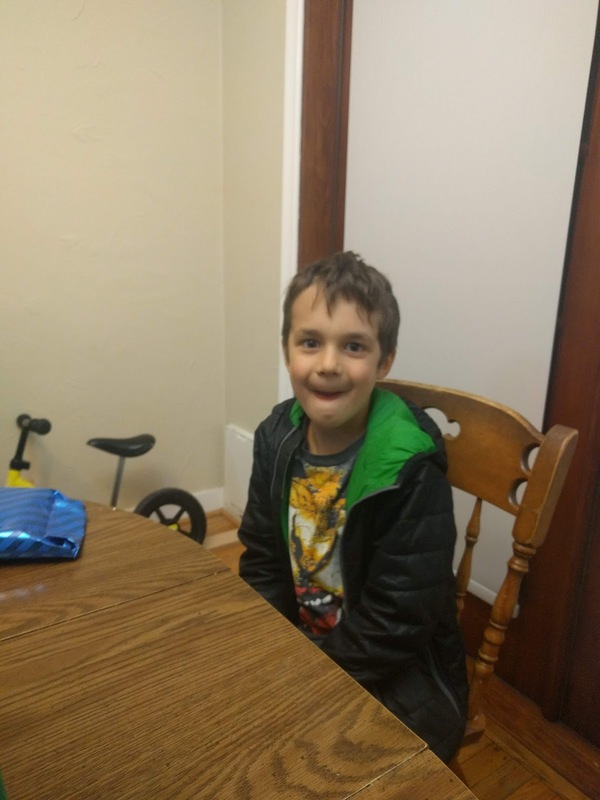 Walking to or from school with him is a constant stream of him talking - giving you a lecture about this or that in various video games (primarily super mario odyssey right now) or whatever else is on his mind. He is quick to tell you how much he doesn't like school though it sounds like he usually enjoys their science units. And he recently got to do an after school program called "Outdoor Wilderness", which he enjoyed. He came home a couple weeks from that asking that I add flint and steel to his wishlist so he could practice with it in the backyard - they'd practiced making fires with it in the program. He was very disappointed when I said no. On his birthday, he had his first Little League practice. 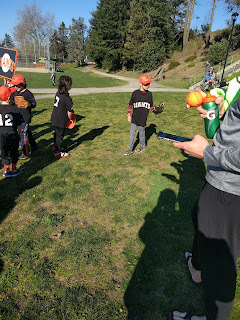 The dad who runs the little league saw us leaving the summer social last summer and asked if the kids were interested in playing. Gareth wasn't, but Mal claimed he was and excitedly asked about it for months. About a week after I signed him up (right before Christmas in one of his moments of awfulness) he changed his mind and was screaming at me for having signed him up. But he seems excited about it again now, so we'll see what he thinks at the end of the season. Ryan informed me he has zero ball or bat handling skills, which is unsurprising (as I told Ryan) given his age and the fact that we don't play ball with the kids. 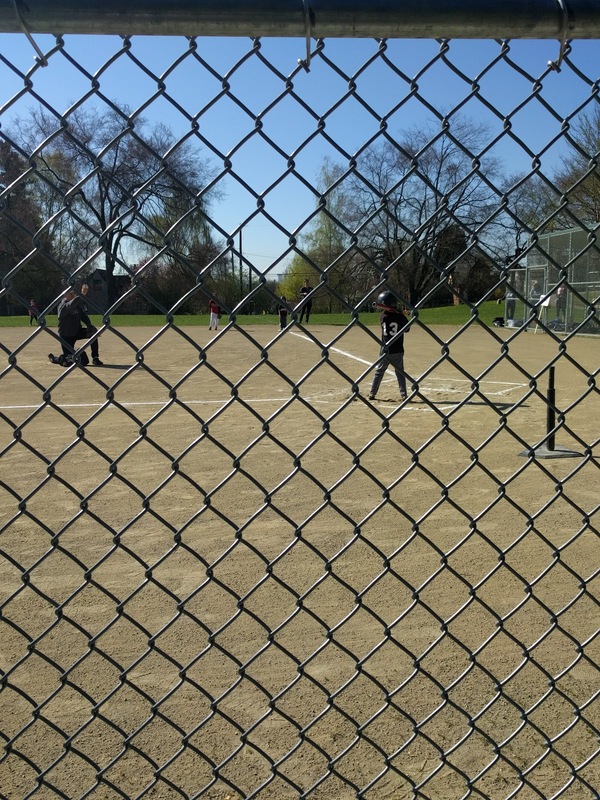 His first game was this weekend and, from what I observed, most of the kids are at his same level. He managed to hit the ball one pitch before they would've brought out the tee. And he was able to scoop up the ball in his mitt once as well. Thank goodness for parents who have the patience to be coaches for this kind of stuff because it definitely did not look like an easy task! After he hit the ball he did figure out to start running toward first base. As he was running, he noticed the ball flying through the air toward him, so veered away from the base to be sure he didn't get hit. The first baseman totally managed to pick up the ball and walk back to first base before the other team's coach managed to redirect Mal to the base, but they're apparently very lenient about the rules at this age (thankfully!). Mal doesn't have much comprehension of what the bases are for or that he's supposed to touch the base in order to be safe. 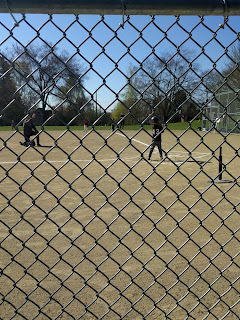 Eventually he made his way around to home plate, at the same time as several other kids from his team. He stood there a bit confused and asked, "Did I win?". They had hot dogs and other snacks at the games this weekend, which was also a huge hit with him. That alone might make him want to continue playing beyond this year!